Five months has passed, and my internship is now over. That means it is time to write my last internship blog which, to be honest, is a peculiar feeling. I have spent the last week reflecting my internship and my time here a lot. Thinking about how much I will miss the kids, my colleagues, the food, my friends here, going out to K1 on Sundays or J’s on Thursdays, sitting in a matatu that’s blasting music way too loud and with a horrible quality, going through 15 minutes of bargaining at Toi, eating chips masala, buying avocados with 30bob and eating mandazis for breakfast. It’s good to go home, but I must admit I feel sad. This five-month journey has not been easy for me to be honest. Kenya is wonderful and I have met some amazing people, but when I came here I carried with me all my personal struggles, as we all do. My time here in Nairobi has certainly been a huge learning experience for me, filled with both ups and downs. It is not the first time I live abroad, as a matter of fact, I have been moving in and out of Finland during the past four years living far from my friends and my family. Kenya was definitely the furthest I have gone and at times it has been challenging to be so far away from my support system. However, when you come across challenges in a new environment far from home, you learn a lot about yourself and your abilities to get through difficult times. Also, five months abroad is a time when you really experience the different stages of living in a new place. You get the honeymoon phase when everything is exciting, the first crisis when everything around you crumbles down, the stable and routine filled life and in the end the moment when you realise you finally feel like home and then you have to leave. I am thankful to Venna, Happiness, Evette and also Petter in Sweden for their understanding during the moments I was struggling with work and feeling down because of personal issues. That really shows how this organisation is like a big family where you are supported when you need it. Being an intern at Wale Wale was not what I expected. It was my first internship and all the internships I had heard about before included going to work in smart casual clothes, nice jackets and pencil skirts and attending meetings with people from UN organisations and such. When I was looking for my internship I wanted to find an organisation that does grassroot lever work, and at Wale Wale I got exactly what I wished for. I got to spend time daily with kids from Kibera, talk with them, dance with them, teach them everything I knew about art, drawing, photography and anything else they wanted to know. I am happy I chose to come to Wale Wale, because I think this experience was very unique. 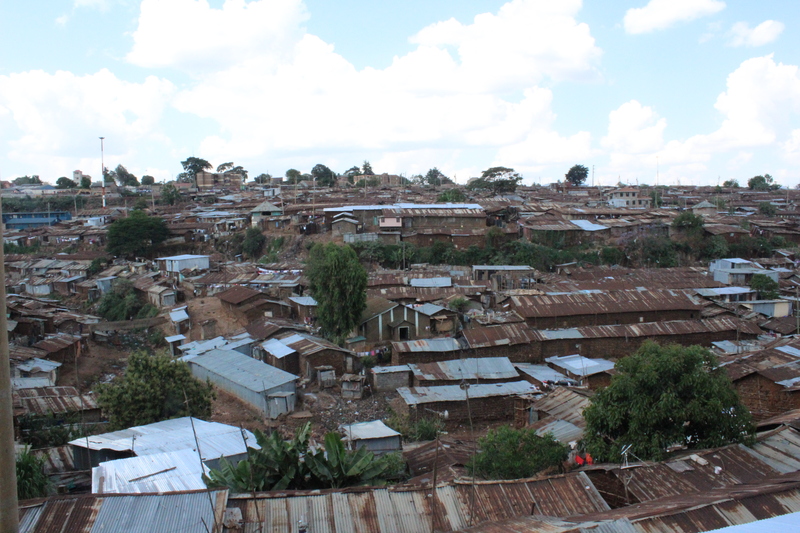 I got to experience Kibera very close but also, through the office work I did, I got to see how a small NGO like Wale Wale works and that is certainly valuable knowledge to have for my professional life in the future. Here at Wale I got to meet a bunch of wonderful and extremely inspiring people. Evette and Happiness, who are both incredible young women, so determined and motivated. Both working so hard with their studies and at Wale, giving all they got and being role models for the kids here. Happiness has been at the organisation for 12 years which really demonstrates the commitment and love she has for the organisation and the youth. She is fierce! When I first met her, I think I was a bit afraid of her haha. There’s a lot of fire in that young woman! Evette on the other hand is so calm and balanced. She was so welcoming and kind from the first moment I came here, and she has a crazy amount of authority with the kids, which is why I often needed her help in trying to keep the kids quiet. Venna, who is working incredibly hard to make everything work at Wale, balancing between being a friend and a boss to the girls and the interns and volunteers, is doing an incredible work juggling with basically everything at the organisation. I really wish this year she takes more days off and uses those days for something else than work! She was my first contact here in Kenya and I am thankful to her for all the support, advice and generosity she showed me. I also learned a lot from her, both about life in Kibera, life in general and about work. These three ladies were in my life daily during these five months and I must say they made work a lot of fun. I don’t even know how to express how amazing the youth at Wale is! As an intern you cannot necessarily become close with all of them, since it takes a while for them to get comfortable with you and the other way around. I remember one of the first days I came to Wale, Sarah was the first person to come say hi to me and she was probably the only one who remembered my name immediately. She is amazing! So talented in so many areas; dancing, drawing and playing football. I am sure she will become an amazing young woman as she grows and keeps on learning from the amazing three women running the organisation. William and Bito are two funny young boys. Acting so tough and cool, but eventually coming in for a big hug and wanting to be tickled. Bito especially melted my heart from the moment I stepped foot at Wale, only six years old and one of the most committed members already! I cannot wait to see what he grows up to be! I met Winnie only when the holidays started at the end of October, but we became close very quickly. She is a kind and beautiful young lady and I am sure I will miss her when I go home. I will miss all my drawing class youth; Boni, George, Brian, Sarah, Winnie, William, Denno, Dennis and Delly. Even though they did not always pay attention to me when I was trying to talk to them about sketching for the 1000th time and sometimes they turned my classes into a screaming competition (man these kids can be loud), I have huge love for them all. I wished they learned at least something from me between all the yelling, joking and singing. Wale Wale is like a big family. The advantage of being a small NGO is that the staff is able to really listen to the wishes of the members. The programmes and activities are all planned based on the feedback received from the kids and there’s no bureaucracy getting in the way of making changes if that’s needed. However, a small NGO also has its disadvantages. The staff is small and the work load for individual staff members can grow very big. Also, small organisations are often dependent on donations and funds coming from outside. However, especially after reading all the summaries, newsletters and reports from last year and writing the evaluation report from last year, I can say that Wale Wale has come far from where it was a year ago. Working hard on organising interesting and fun activities, not forgetting to teach the kids important skills and promoting their creativity the staff has succeeded in getting more members and increasing exposure and local income. The potential the youth in Kibera possess is incredible but unfortunately undiscovered and not supported. For this reason, organisations like Wale Wale really play an important role in discovering that potential and encouraging the young people to become determined, confident, creative and passionate adults, who want to make a change in their lives and in their communities. Many times, all a young person needs is a space, the right tools and a small push to become the best version of themselves. Kenya was good to me; I met great people here, I learned a lot about myself, about Kibera and about Kenya, sometimes I felt incredibly lonely and sad, sometimes incredibly happy and excited, I got two new tattoos here in Nairobi and I even got my heart broken and I survived it. This was a rollercoaster, and with all the ups and downs, I loved it. I don’t really know what else to say than ASANTE SANA to everyone who were a part of my life here. I hope to be hearing from the youth and my colleagues at Wale and thanks to social media, I am sure we will keep in touch! I hope I succeeded in leaving my mark at Wale Wale. Since I am a photographer, I will add some of my favourite pics below!